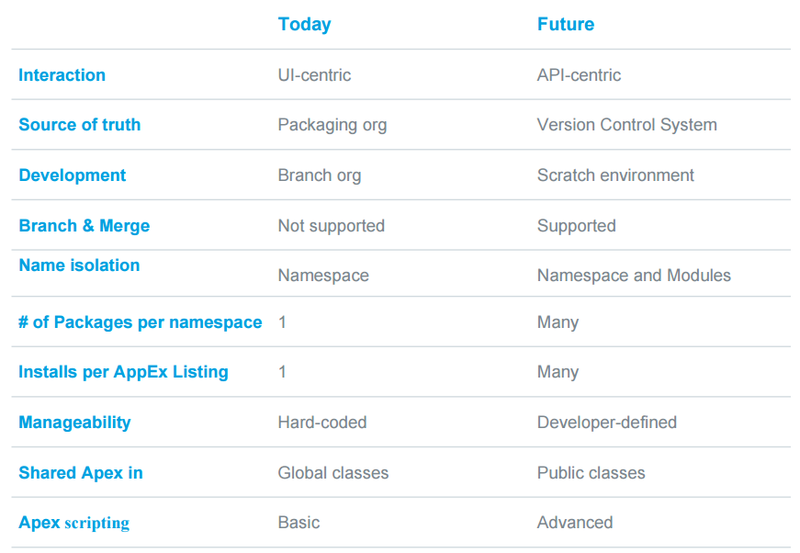 Salesforce are pushing, and pushing hard, for customers to transition into the newer Lightning UI. 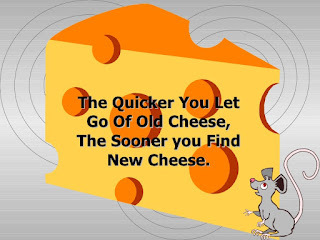 That's not to say that Visualforce is going away any time soon, but it's time to think about moving with the cheese! 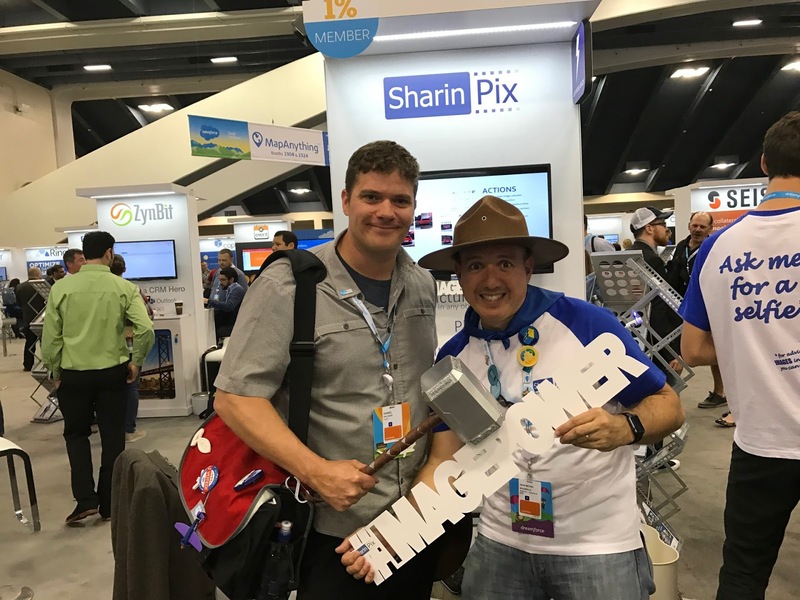 Mike Topalovich did a great blog series and presentation on migrating from Visualforce to Lightning. In Part 1 he covers the background on Visualforce and Lightning so you know what each is an isn't. 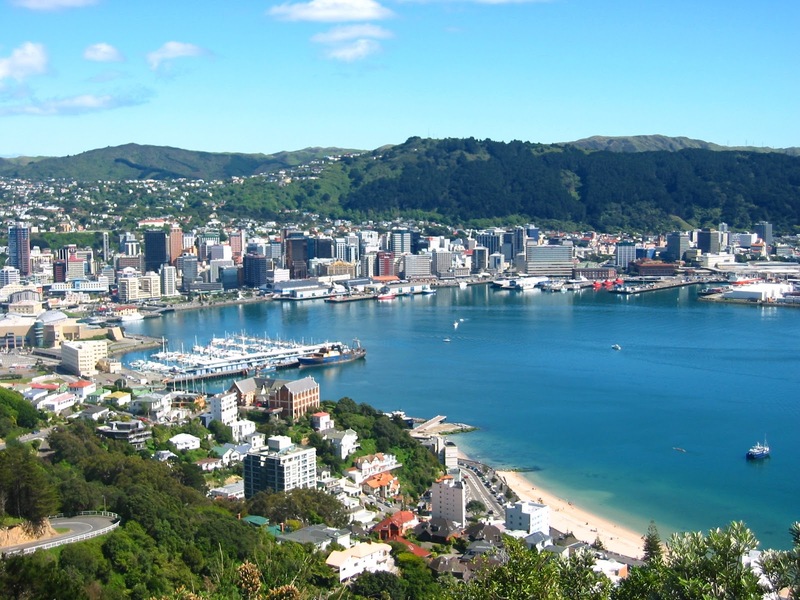 In Part 2 he covers the roles Visualforce can play in Lightning. Finally, in Part 3 he covers migration strategies for getting an existing org into Lightning. I recently completed a project to create a public facing Sites page for some Salesforce data. As it was a new project I thought I'd use a Lightning App and components to put it together. However, as at Winter'17, a Visualforce page that is rendering in a public facing site won't work if it contains a Lightning Component. Instead I opted to use the Salesforce Lightning Design System (SLDS) with existing Visualforce components. 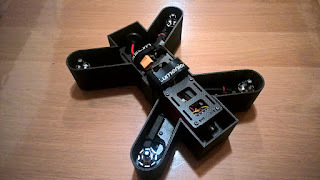 I found this to be a good introduction to the SLDS as I was still using the very familiar Visualforce components. 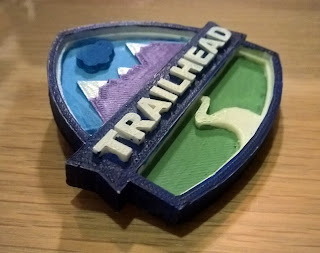 See also, the Trailhead Lightning Design System module. As always, the Salesforce StackExchange postings on lightning and lightning-components can be great resources for specific questions. This is interesting as a stop gap measure to make Visualforce based pages use the SLDS. This features a Visualforce page template to apply the SLDS styling. At the time of writing there are 11 modules on Lightning in Trailhead targeting developers. I needed a way to capture the SOAP Requests that were being sent by an Outbound Message. One option would be to host something on my local development machine. However, at work this would necessitate getting a network admin to open a port from our public IP address through to my machine. Another suggestion, by Daniel Hoechst, was to use an existing online service like https://requestbin.com/ to capture the SOAP message. Instead I thought I'd explore using a public Salesforce Site that exposes a REST web service accepting all POST requests. One advantage of this approach is that the request doesn't need to go off to a third parties server. It's also simple to implement and is mostly just putting a few known parts together. The first step is to add a public RESTful webservice on the Force.com Site. Instead I've needed to create a basic custom object to store the RestRequest Body. Once the Apex class is ready a quick smoke test from POSTMAN to make sure it is working as expected. Then configure the outbound message to POST to the REST services URL. My previous impression was that the majority of things people printed were replacement parts for the printer itself. But... then I got access to a printer to use for a few days and printed a few bits and pieces. I think the first thing I printed was a micro quadcopter frame to carry an equally small FPV camera. Once I realized I could print things that could fly it sort of snowballed from there. At the Chicago MVP Summit event and Midwest Dreamin' conference I'd taken along a handful of Deployment Fish to hand out to people. They were well received, which left me wondering if I could refine the idea for Dreamforce. 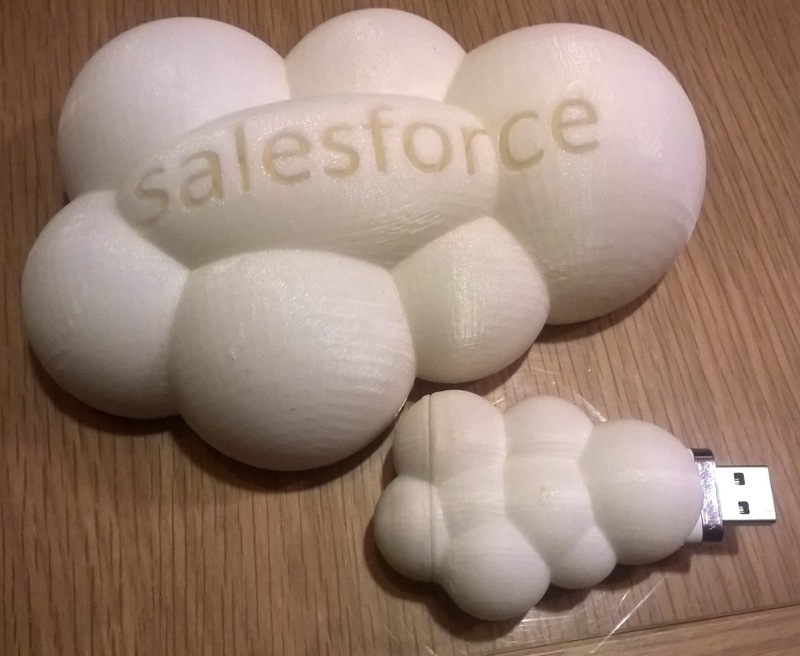 At first I thought I could do a 3D version of the Salesforce logo with a flash drive or Raspberry PI embedded. The idea kind of worked, but I wasn't sure I wanted something that was the company's logo. Plus, I could never figure out how to correctly fill the middle of the cloud between all the defined spheres so it looked right. I then tried some variations of the deployment fish concept. I really liked the idea of a punch out deployment fish, but the printer didn't have the resolution to do text for a business card. The other idea was a fish that would clip over a conventional business card. In the end, keeping it simple seemed like the best idea. So I got some basic stickers printed with my details and put them on the back of the original designs. For good measure I did some Trailhead logos as well. I also really wanted to get my Twitter handle on my conference badge. I had a number of people recognize me first by my handle. 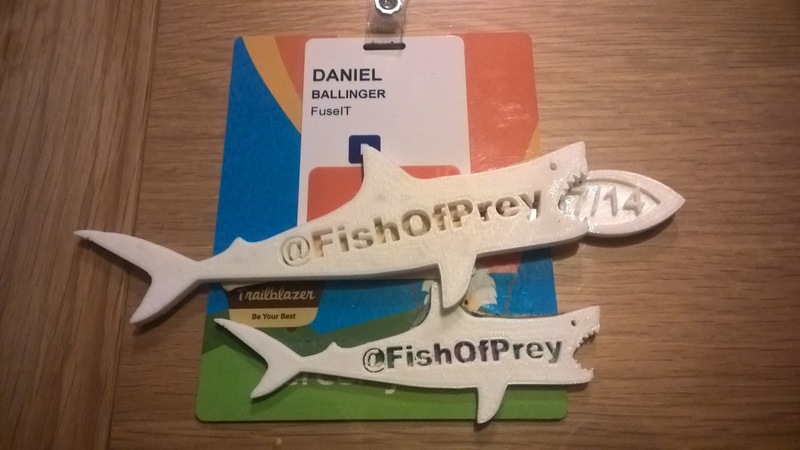 The fish was supposed to slot into the sharks mouth, but I didn't have time to refine it the day before departing for the conference. Shortly before Dreamforce the Einstein announcements started coming out. 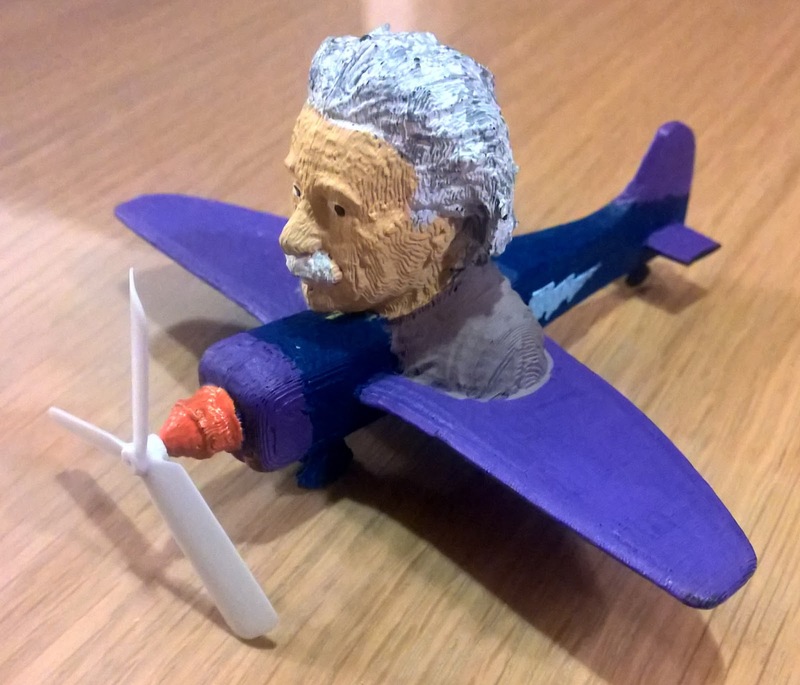 Putting Einstein in a plane just seemed like the thing to do. 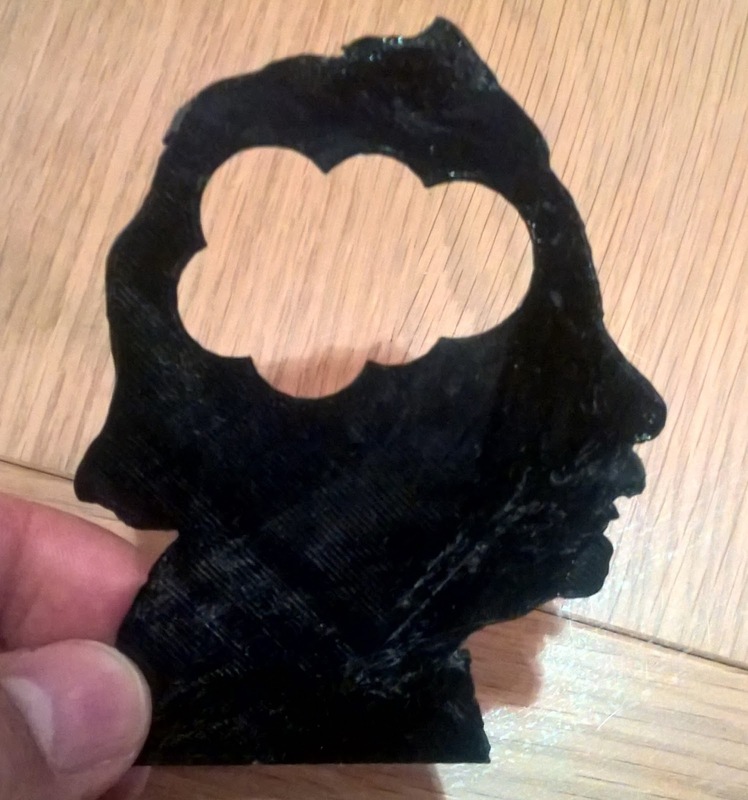 I also played around with having the cloud be Einstein's brain. Rumor has it that if you can catch one of each of the Seven Dwarf's they'll forge you a might Apex Test Hammer™ like the one that is used to check every orgs test cases during a seasonal release. It may or may not bear a striking resemblance to Mjolnir with custom rune plates. I wanted to travel with my quadcopter but didn't want to draw attention to it strapped on the outside of a backpack. I made a basic case for it to slide into with the props removed. This was as much to protect the contents of the bag from it as it was to protect the quad. 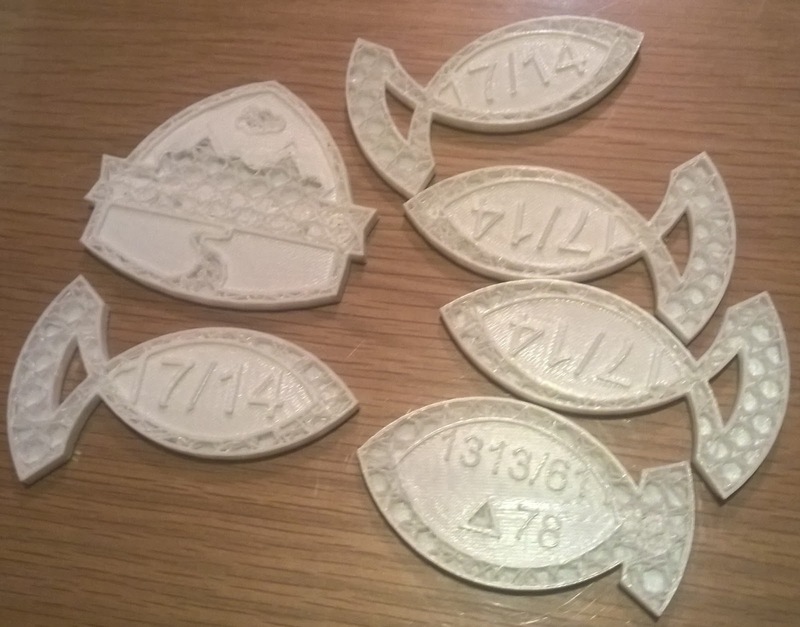 There is no end of things to print for the kids. 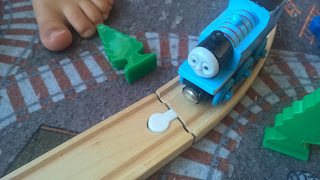 I like the simplicity and usefulness of printing new train track connectors. Sometimes the model isn't correct and you try and print a surface with no depth. 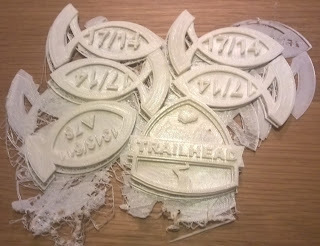 Sometimes the filament feed jams mid print. Sometimes the entire print bed moves mid print. 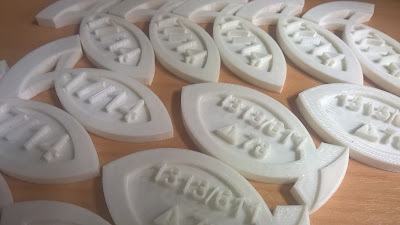 If nothing else, 3D printing helps teach you perseverance. Happy printing! My saga continues. 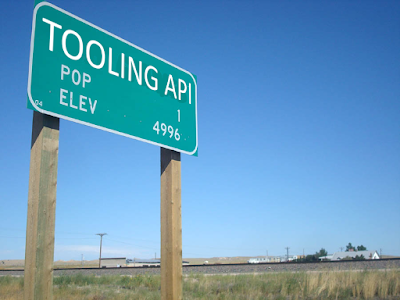 As the seasonal releases pass I'm beginning to suspect more and more that I'm the sole occupant of SOAP Tooling API town. 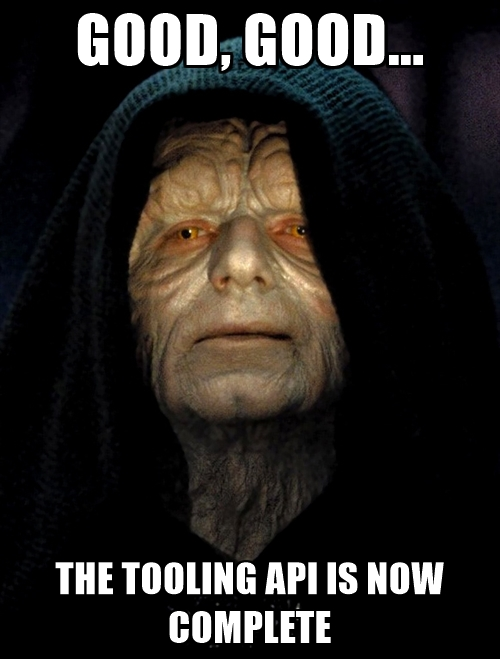 Today's post was encountered when updating to the Winter`17 (v38.0) Tooling API. Custom tool error: Unable to import WebService/Schema. Unable to import binding 'SforceServiceBinding' from namespace 'urn:tooling.soap.sforce.com'. Unable to import operation 'create'. The datatype 'urn:metadata.tooling.soap.sforce.com:FTestGeneratedEntityComplexValueType' is missing. The useful bit is hiding at the end - "The datatype 'urn:metadata.tooling.soap.sforce.com:FTestGeneratedEntityComplexValueType' is missing.". v38.0 of the Tooling API WSDL contains two new and really odd complex types. FTestGeneratedEntityFtest and FTestGeneratedEntityWithLongishNameFtest. The first of these refers to the second via the namespace prefix mns, which is "urn:metadata.tooling.soap.sforce.com". That's fine, except they are both defined within the "urn:sobject.tooling.soap.sforce.com" namespace. Commenting these extra complex types out of the WSDL seems to be sufficient to get it going again. Raised as support case 14900660 for those who want to play along at home. The Tooling API now includes the dreaded QuickActionLayout complex type and the corresponding generated quickActionLayoutColumns multidimensional array. As such, the generated C# class will need the same fix that the Metadata API does. The describeGlobal method on the Tooling API is returning 122 new sObjects in the autogen__ namespace. They all have the label "Metadata Facade Template" and the keyPrefix "0Dw". If you attempt to do a describeSObject or describeSObjects API call for any of these autogen__ types you get a GACK response. Raised as support case 14909168. This was my third year attending Salesforce's annual Dreamforce conference in San Francisco. On the first day of the conference, within the first minutes of entering Moscone West, I walked into a both demoing Microsoft HoloLens units. That sort of set the pace for the rest of the conference. I certainly didn't get to as many sessions as I would have liked to. Managing about a dozen over the 4 days. I'd planned to attend many interesting sessions. According to agenda builder I had a laughably optimistic 58 sessions bookmarked. Instead I focused on the activities that could only be done while there in person. The backlog of 40 odd sessions will have to wait for the recordings to become available. 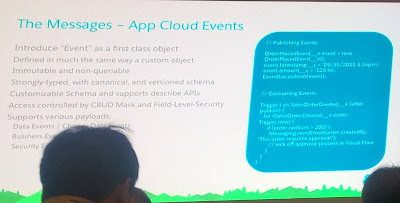 The clues I'd been seeing about "artifacts" turned out to be the internal name for a replacement to packaging that formed part of the larger Salesforce DX (Developer Experience) changes. While many of the conference headlines were for Salesforce Einstein, as a developer the Salesforce DX changes will have a more immediate and significant impact to my day to day operations over the coming years (unless they can get a Salesforce Einstein type product to do intelligent debug log parsing - hint, hint.). 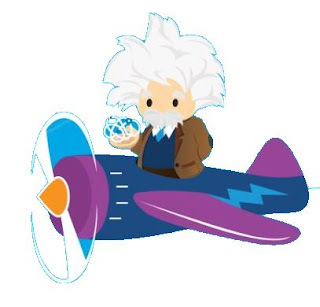 Salesforce DX can mostly be thought of as a catch all name for a number of changes coming for developers (and admins). There are a number of areas affected and numerous changes will need to come together over the next few releases to make it a reality. You might be looking at piloting in Summer '17 and GA in Winter '18 (the usual disclaimer applies). You can register your interest to be in the pilot test when it opens up. The current status quo for development, especially of a managed package, is that a single packaging org stands as a source of truth for the current release. With Salesforce DX you will be able to drive deployments from a source control system of your choosing. The metadata for a single custom object can be split over multiple files. E.g. Split out each individual field. Scratch Orgs will be shorted lived and provisioned via the new CLI (and in theory a backing API call that the CLI uses). The most appealing part of these orgs is that a JSON file provided to the CLI tool will configure which features are enabled or disabled for the org (Org Shape by declaration). You will no longer need to wait 4+ days for support to enable multi-currency in your development org at some random inopportune moment. It will be interesting to see how flexible the APIs will need to become to access things there were previously only accessible via the UI. E.g. 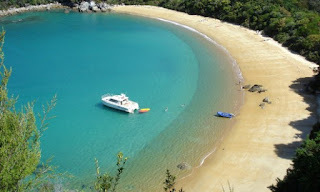 Remote Site Settings. I recall hearing that scratch orgs would last around 2 days, but don't hold me to that. Also, they likely wouldn't be hosted on the production instances, which might open up the options for using the interactive debugger. In the Ask the Developers #DF16 session. Scratch orgs won't run on the production pods. Might open up the interactive debugger usage. In another session it was suggested that instead you would have a finite number of scratch orgs and would need to explicitly delete them. They will have a combination of parts from DE and the Branch Org pilot (giving support for multi orgs with the same global namespace). The Accounts etc... that get created with a standard DE org won't exist. SourceMetadataMember with RevisionNum field will be used to keep local file system source control in sync with any changes made directly in a scratch org. Might be enhanced in the future with a StreamingAPI topic that can be monitored for direct changes in the org. The extended force cli appears to be a number of additional commands added to the existing force.com CLI, or something like it if you start to merge in the Force.com Migration Tool. I mostly view this as a command line friendly wrapper over the functionality provided by the Tooling and Metadata APIs. The big advantage here is that the command line access to these APIs provides an interface that many other developer tools can integrate with. 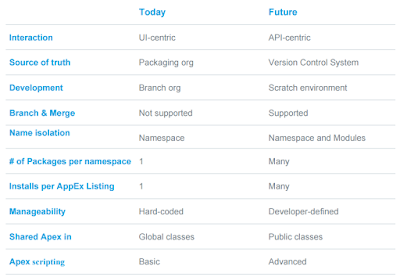 The increased API and CLI support will move many of the developer tasks away for the UI. Implemented in Node.js using the Heroku CLI pluggable architecture. Support Web and JWT Bearer Token OAuth flows. Multiple packages share the same namespace. Removes the need to extension packages and global Apex classes. One App Exchange listing that can install multiple packages. 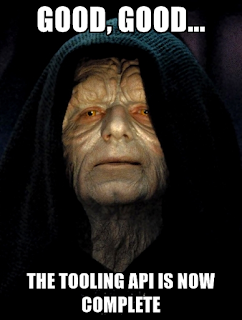 The Tooling API will be extended (GA Winter `17) to allow for package creation. 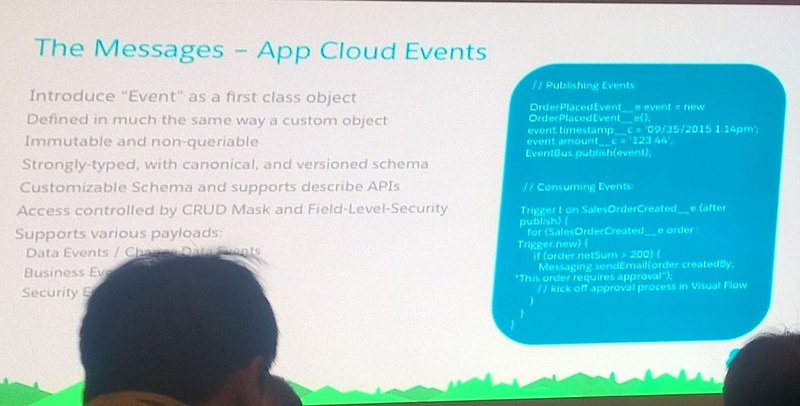 There will also be an API (Enterprise API?) (GA Winter `17) to create Push Requests. FMA (Feature Management Activation?) to sit besides the LMA in the LMO to allow features to be toggled in the package. It will include an Activation API and Activation Metrics. For admins in the subscriber orgs it will appear similar to how existing Salesforce features are activated. This was a really interesting session. Firstly, it covered how Apex classes are compiled to byte code and then to an interpreted form for execution on the app servers. There are various levels of caching involved at each step. 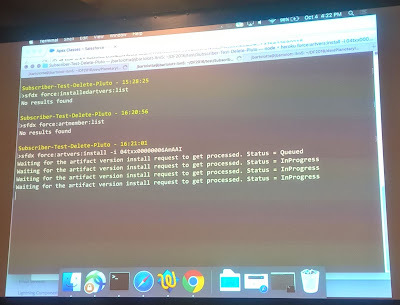 The latter part of the talk was on how the new Apex compiler was being regression tested to ensure it produced the same output as the existing compiler. Another really interesting talk about providing a mechanism to raise and consume events. It would be accessible in Apex for event publishing and in Triggers for consuming events. (__e suffix.) They could be described via the Metadata, but won't support queries or updates. Summer '17 Beta for High Volume Platform Events. Additional Messaging protocols. Use temporary variables instead of referencing a field multiple times! Serializing data can eat up CPU time, depending on the amount of data being serialized. Processes are much less efficient than the equivalent workflow rules. Use Limits.getCPUTime() to find out if you’re getting into trouble, and exit (or go async) if you’re getting close. Session videos are starting to appear. Do bring that extra bag to bring back any additional bits you pickup along the way. There was a small both just to the back of the Mini Hacks area that wasn't occupied. I parked up there for a few minutes to complete a Trailhead badge while on the Dreamforce WiFi to get the DF16 community badge. Turns out if you stand somewhere and look like you know what you are doing people will just come up to you and start asking questions. I think I directed a half dozen people to various parts of the developer forest. Giving guidance on Crayons Not Code took a bit more time. 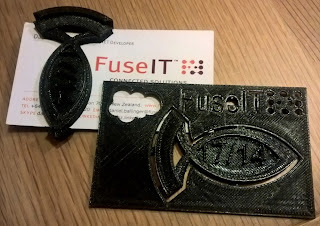 Do get your twitter handle on your conference badge. I had several people recognize me as @FishOfPrey. 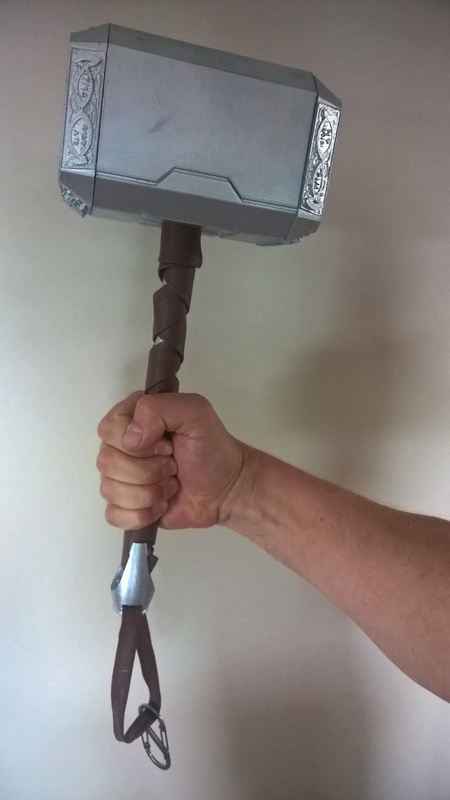 Carry a large hammer as a conversation starter. Developers Breakfast was a great way to meet with fellow devs. Way back in the day (v27.0 and earlier) it was possible to inline the test cases directly with the apex class. This wasn't always ideal, but it did have one big advantage. Finding the test cases for a class was super easy - they were right there in the class! "Test-to-Parent class linking – You will be able to have a test class explicitly related to regular class or trigger. Currently, many of you have implicit connections by adding a suffix or prefix to a class name, but this doesn’t make managing or interacting with your codebase all that much easier. The explicit linkage will allow us to do better UI treatments for related classes. A direct mapping will also make the upcoming Fast Deploy feature much easier to utilize." Unfortunately for us developers I think the safe harbour this one pulled up in is a bit too comfortable. Since 2013 it's been sitting on a golden beach sipping a cold drink without a care in the world. Maybe we will see it one day. Back to the now, I've been tinkering with the APIs to try and find an interim solution. There are a couple of challenges with this. How do you find the Apex classes that directly call a given class? How do you identify which of those classes is a test class? 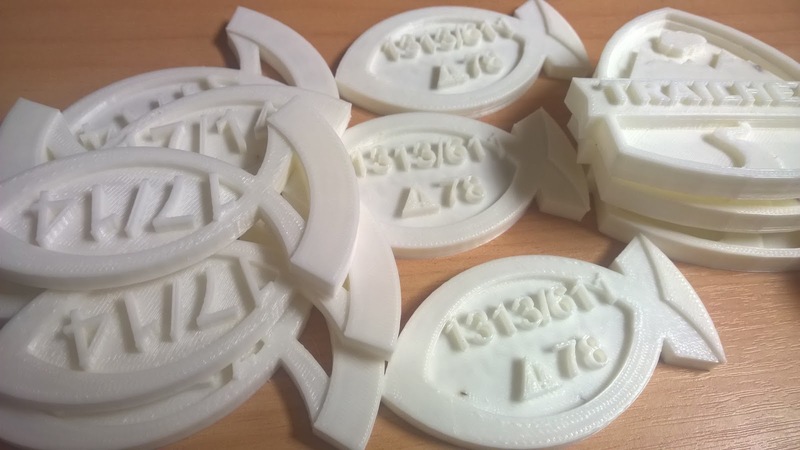 The SymbolTable that is exposed by the Tooling API can be useful for the first problem. The ExternalReferences can be used to find all the Apex Classes (and Triggers) that have a direct reference to the given class. It isn't ideal as we really want to find the inbound rather than outbound references. I.e. what calls me, not what do I call. Also, the ExternalReferences returns the class name and namespace, but not the Id. Ugh, so I need to do an extra query to resolve the Id for each class. There are also less savory ways of finding the reference information if you are willing to pull apart the developer console. Do so at your own risk. One of these is to borrow an unofficial API from the developer console. The short version is that you POST to /_ui/common/apex/debug/ApexCSIAPI and pull out the JSON response. That will give you the list of Apex classes that depend on a given class. This brings us back to the second problem. How to determine if an Apex class contains Test cases? My current approach is to do a SOSL query looking for Apex classes that contain @IsTest or testMethod. It can get a few false positives, but at least narrows down the referenced Apex class Ids to those that are likely to contain test methods. 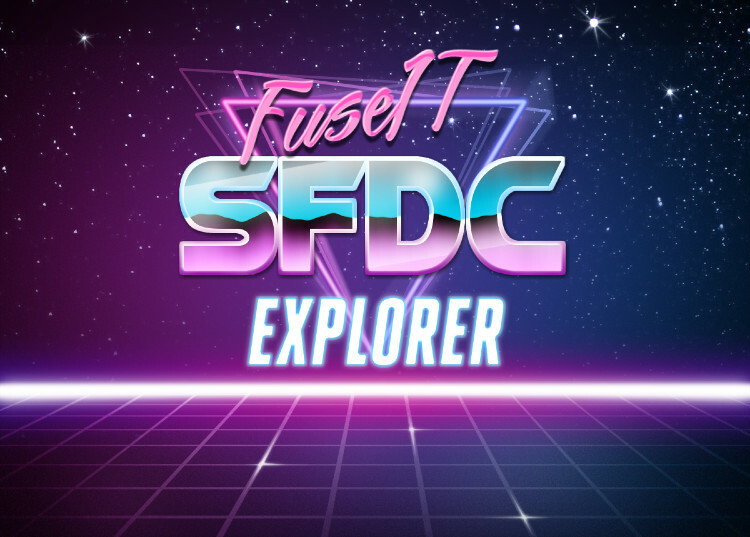 I've put the accumulation of these ideas into the latest release of the FuseIT SFDC Explorer. If you are viewing an individual Apex class you can used the double green arrow to start all the associated test classes. No longer possible to mix testMethods in classes?